Hey there—how’s packing going for your upcoming move to London, Weekend Warriors? As you’re physically getting stuff sorted, stowed away, and packed up to ship abroad, perhaps you can busy your mind with considering what sort of London apartment you want to unpack this stuff into. 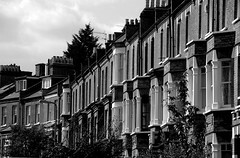 Because renting London property is an expedient affair, go into it as prepared as possible. A few Saturdays ago, we looked at the documentation and funds you should have on-hand to seal the deal, but even before that you should have a clear idea of what you’re looking for. Now don’t take this as free license to draft an exact schematic of the floor plan and fixtures—imagining it is not going to make it manifest magically. I just mean decide how many bedrooms and/or bathrooms you’re looking for, what features like a balcony or garden would be cool, if you want hardwood floors or carpeting, new construction or vintage charm, etc. as well as what sort of neighborhood would suit you best—what’s your aesthetic? Your lifestyle? Do you need family-friendly or young bohemian? Quiet and residential or in the center of the action? And how much can you afford? Are you willing to be flexible with your budget if it means getting a place that ticks almost all the boxes? Once you’ve thought through all the ideal amenities you’d like to have, then go through the list and prioritize—are there any non-negotiables? What are the need-to-haves versus nice-to-haves? And be honest with this one, because if you’re just preferring to not have to climb too many stairs because you don’t feel like doing it versus you have an actual physical impediment to accomplishing such a task, you’re going to have a heck of a time with this. It’s a difficult city for being high-maintenance! Adjusting your initial expectations for more realistic ones is best managed by gaining an understanding of what typical rental property is like. See my series on “What to Expect in a London Flat” for a sneak-peek into this weird and wonderful world… And I don’t recommend renting anything over the internet whatsoever, but it wouldn’t hurt to surf around on London lettings agency sites to get an idea of what sorts of properties you can get for what prices.